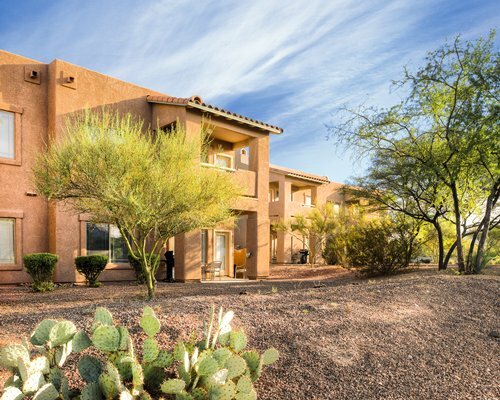 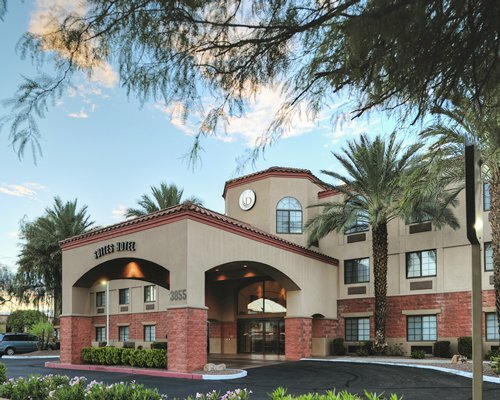 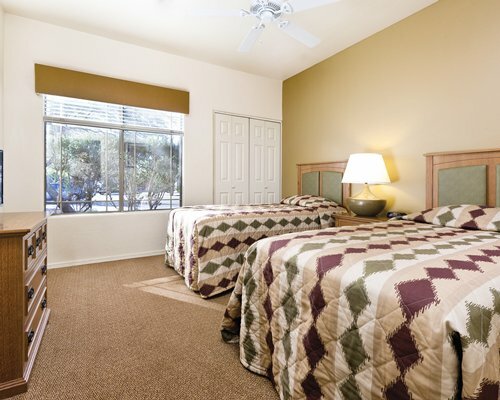 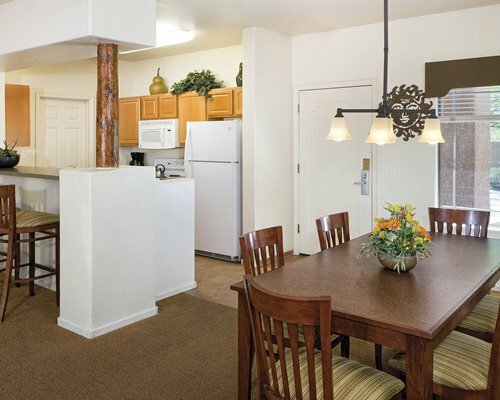 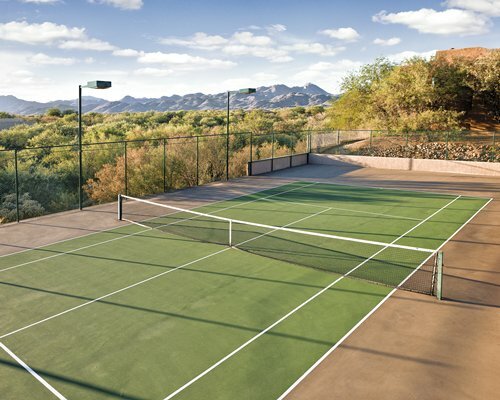 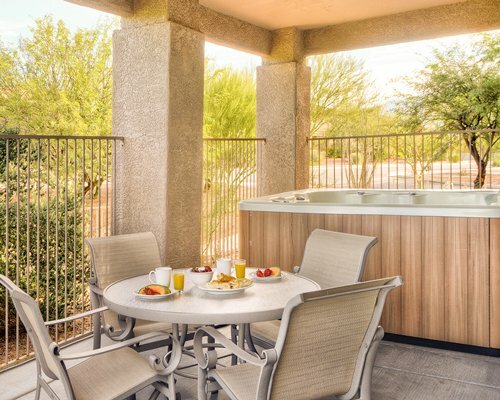 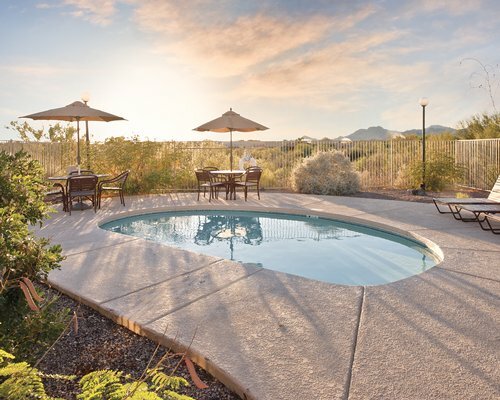 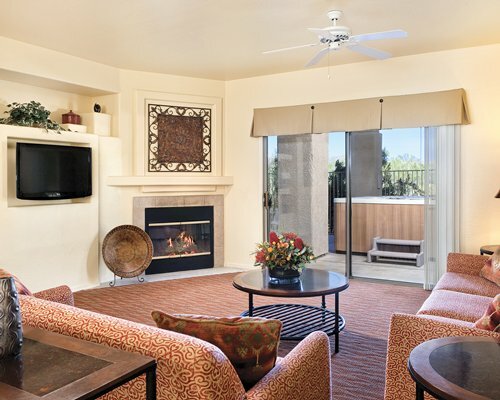 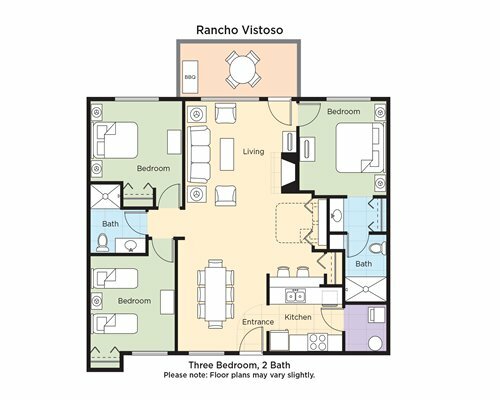 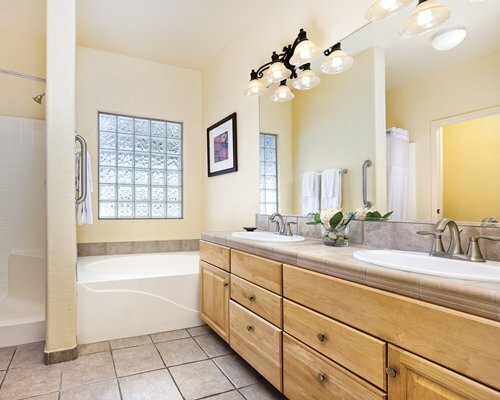 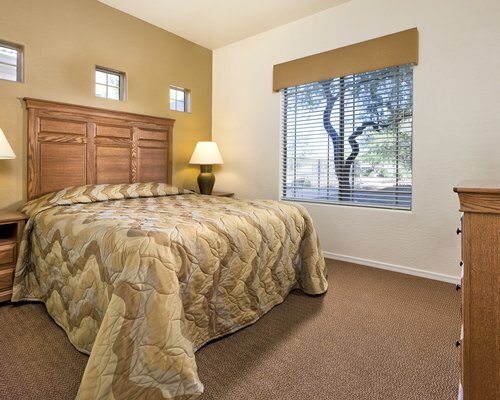 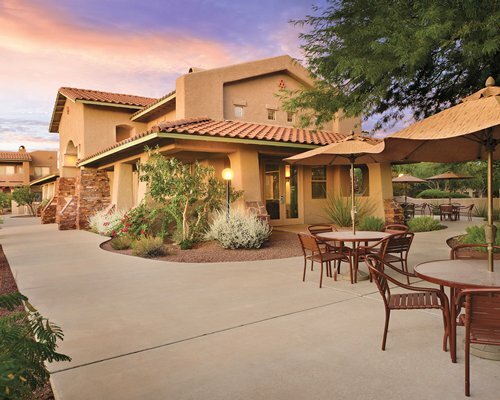 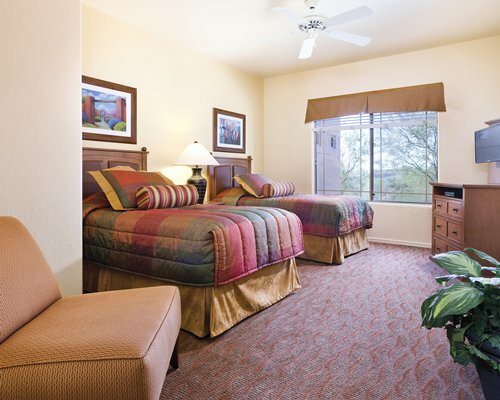 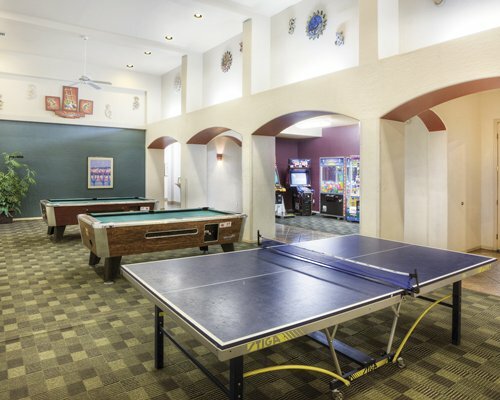 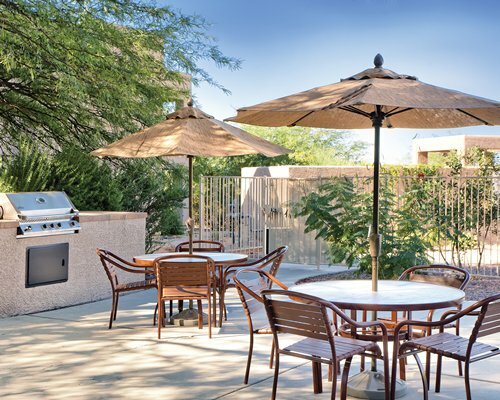 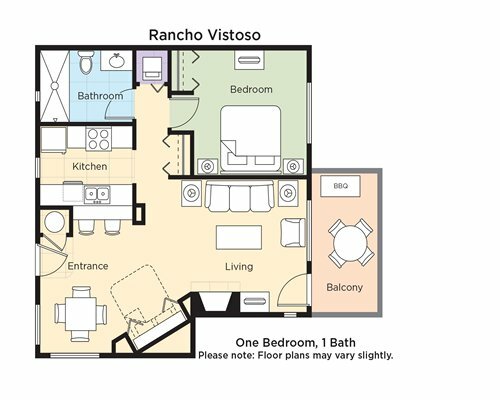 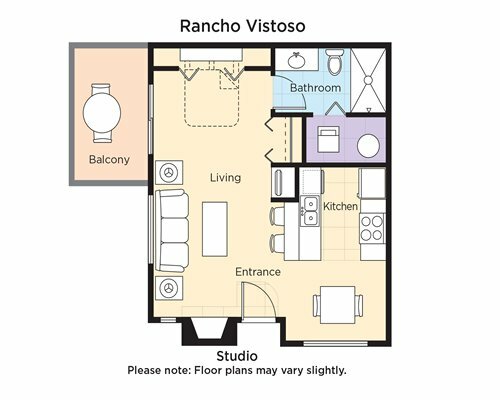 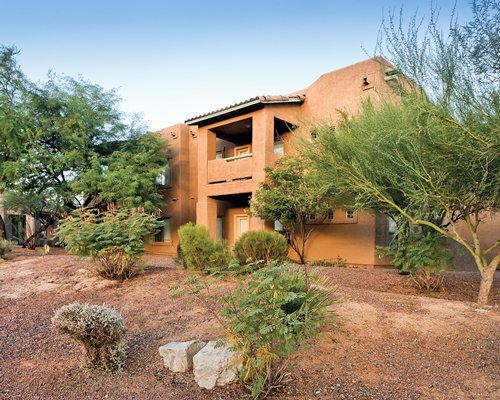 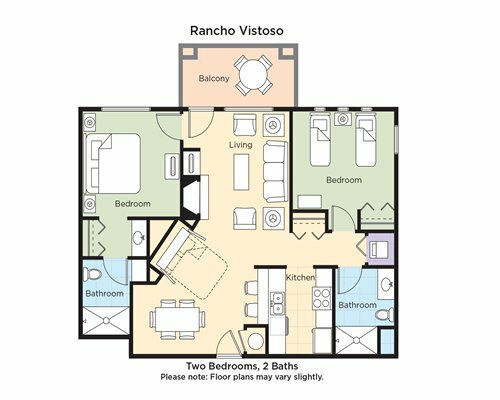 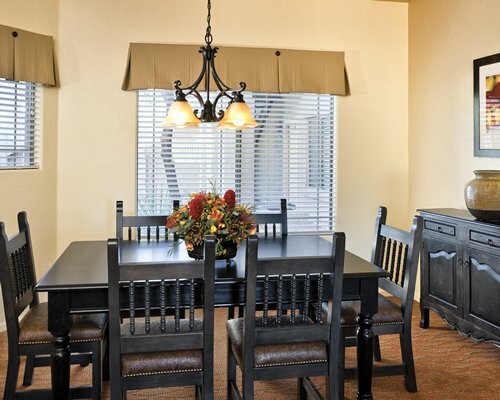 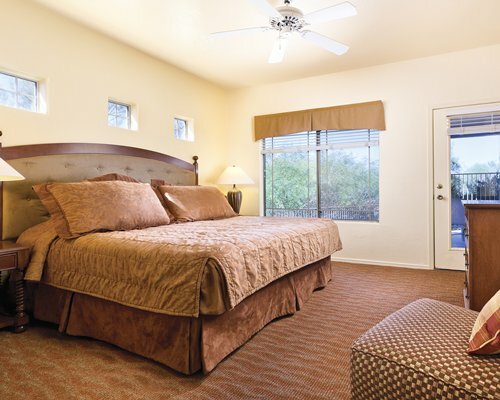 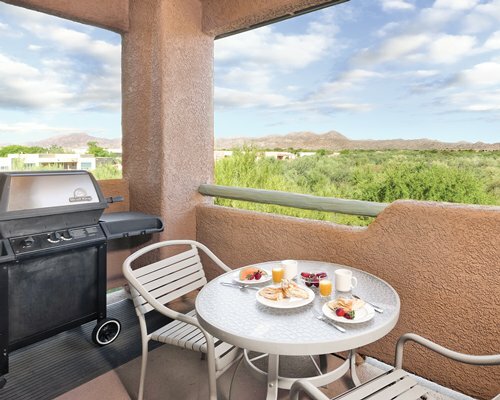 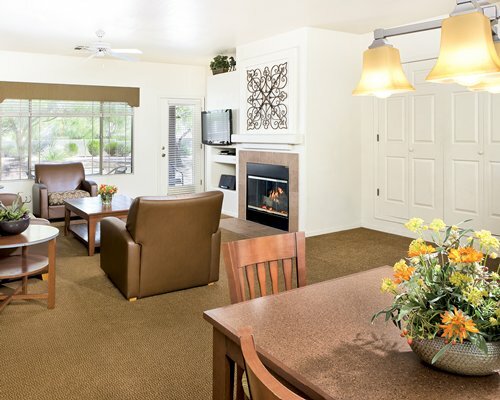 Wyndham Rancho Vistoso, located in Oro Valley 20 miles outside of Tucson, is an excellent base from which to enjoy the best of the Southwest, including lots of on-site amenities, the championship Weiskopf-designed golf course next door, and historic and cultural attractions nearby. 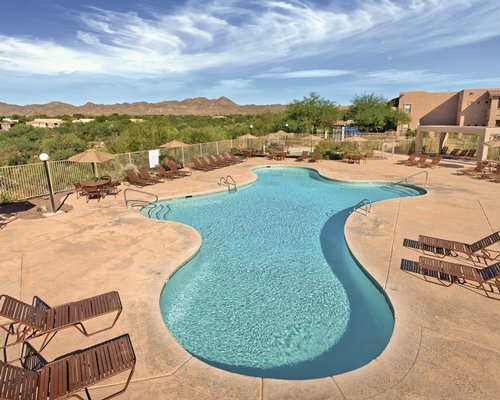 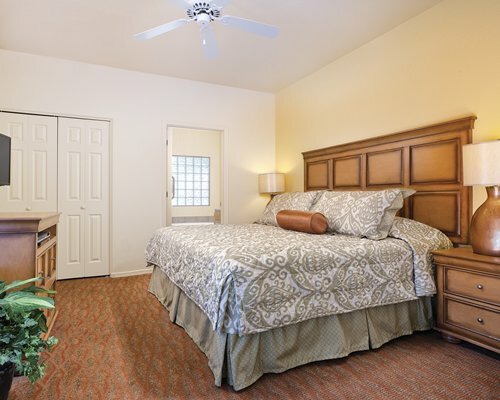 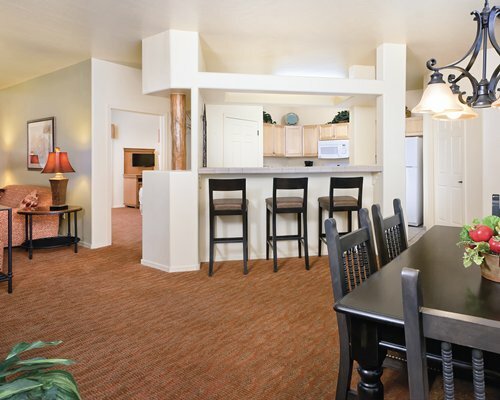 The resort offers an outdoor pool, tennis, a whirlpool/hot tub, game room, playground, and an outdoor spa. 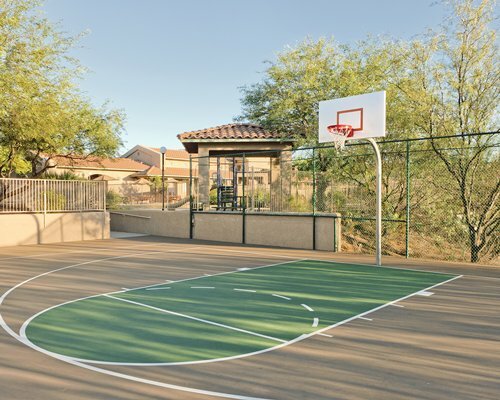 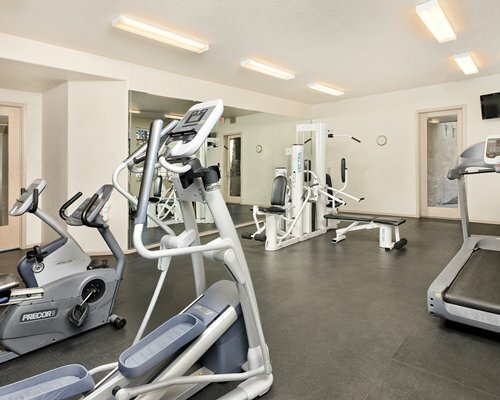 Also available on site is a children's play area and an exercise facility. 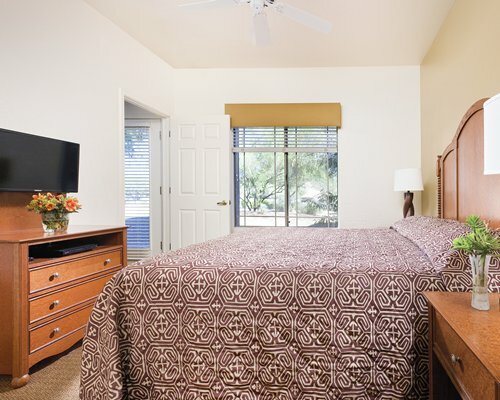 Due to local municipality tax laws, the resort collects a mandatory transient occupancy tax upon arrival and you are required to pay for the number of nights on your reservation. 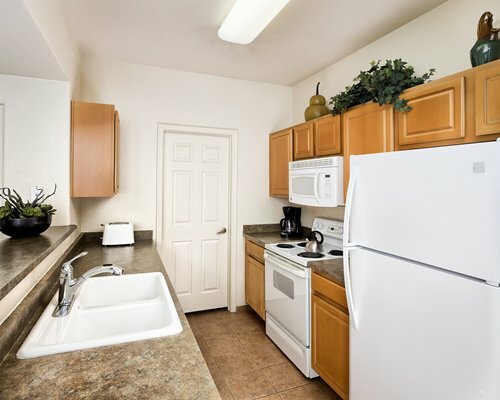 The nearest restaurant is within 3 miles. 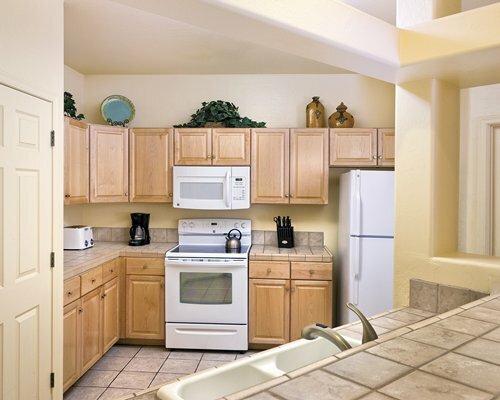 Summer temps between 100 and 108 are common- AC units cool to 72 degrees.